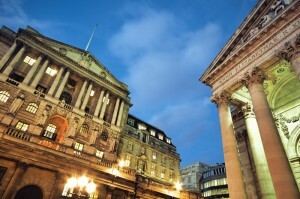 The Bank of England (BoE) has raised concerns over the amount of buy-to-let home mortgages that are currently being issued and wants commercial banks to rein in their lending in this sector – however, the BoE hopes it can tackle the issue without having to raise rates ahead of the increase in buy-to-let stamp duty in early 2016. Warnings over investment in some emerging markets have also been raised, with the Bank suggesting that economic difficulties in China, Brazil and Argentina could threaten our own stability. According to the Bank, another possible threats to investments could be a fall in the price of assets when the UK Interest Rate eventually rises, however, the move from the long-standing historical low is not expected in the short term. As Chartered Financial Planners, The Financial Planning Group work with our clients in an ongoing relationship to help individuals, families and businesses to place their financial affairs in context with their future goals and aspirations. We provide a simple, structured, disciplined and reviewable financial planning service. If you would like to speak to us about your own financial situation or retirement planning options, please call us on 0800 731 7614 or by e-mail at enquiries@fpgonline.co.uk and we’d be delighted to help.